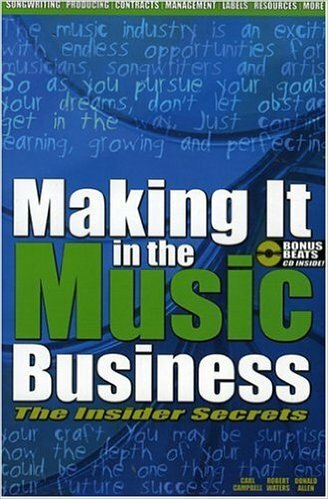 Making It In The Music Business: The Insider Secrets: Packed with insider information, tips and secrets from industry pros. Making It In The Music Business: The Insider Secrets is a must-read for any aspiring musician, songwriter, performer or music business entrepreneur. * How hit makers really write hit songs, * How to avoid common pitfalls that most struggling artists make, * What most record companies don't tell you and would rather you not know, * Why some artists last longer, sell more and become more successful than others, * How to start an independent label just like today's successful music moguls, * What every musician, songwriter and artist should know before signing a contract and much, much more! If you want to know more than just legal and technical jargon, and if you've waited long enough for someone to tell you the truth about breaking into the music business, then this book is for you!